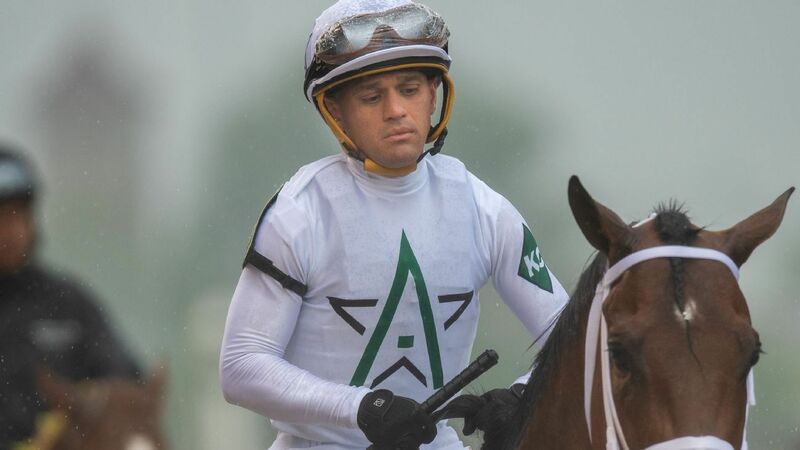 NEW YORK — Javier Castellano won consecutive races to give the Hall of Fame jockey his 5,000th career victory in North America. The 41-year-old rider won the $200,000 Mohawk aboard Offering Plan in the third race at Belmont Park on Saturday and followed up in the next race aboard Runaway Lute in the $150,000 Hudson to reach the milestone. He began his career in his native Venezuela in 1996 before moving to the U.S. a year later and riding his first winner at Calder in Florida. Castellano is a four-time Eclipse Award winner as the nation’s top jockey. He won the Preakness in 2006 and 2016 and has notched eight Breeders’ Cup victories.